Front desk women were welcoming and wonderful. When there was a problem with the toilet in my room the offered me a new room and an upgrade. Where to find Bradford hotels near an airport? Where can I find hotels in Bradford that are near tourist attractions? Expedia has no hotels listed within Bradford, but we have 4 places that are an easy drive away. 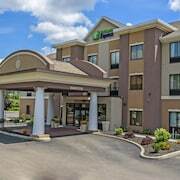 The nearest Expedia-listed hotel is the Holiday Inn Express & Suites Salamanca, New York, which is 25 kilometres (17 miles) from downtown Bradford. As an alternative, try the Gallets House B&B, located in New York, which is 30 kilometres (18 miles) away. The Holiday Inn Express Bradford is positioned 11 kilometres (7 miles) away from downtown Bradford. 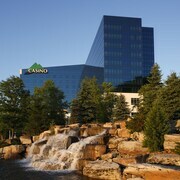 Another hotel is the Seneca Allegany Resort & Casino, which can be found 25 kilometres (16 miles) away. 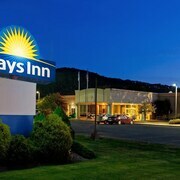 Some other hotels are the Comfort Inn Bradford and the Best Western Plus Bradford Inn. Why don't you take the time to broaden your horizons and check out the many delights to be found in Central Pennsylvania while you are in the region? If you love nature, be sure to explore Central Pennsylvania's rivers and rolling hills. In addition you could head to a few of the region's traditional villages. Adventurous travelers might also try their hand at hiking, camping and winery tours here. Looking for more to do? Why not spend some time exploring Sandy Township Recreational Park and Dubois Area Historical Society, in DuBois, 90 kilometres (55 miles) to the south of Bradford. 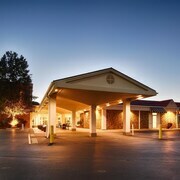 The Hampton Inn DuBois and Holiday Inn Express Hotel & Suites DuBois are a few of the Expedia-listed hotel and apartment options in DuBois. 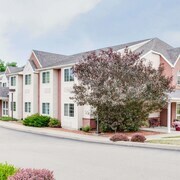 Or, you could stay in DuBois, 90 kilometres (55 miles) to the south of Bradford, where you can pick from the Homewood Suites By Hilton Dubois, PA and Best Western Inn & Conference Center. If you stay in DuBois, be sure to visit the Dubois Country Club and Laurel Mountain Vineyard. Just because you're on vacation, doesn't mean you can't indulge in your passion for sporting events. You will find Ralph Wilson Stadium 95 kilometres (59 miles) to the north of Bradford. 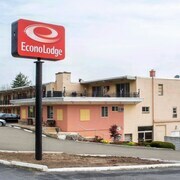 Those sports fans wishing to find accommodation near to the sporting action can choose from the Red Carpet Inn Orchard Park - Buffalo, NY or the Econo Lodge South. Expedia's destination page is a great way to discover more about Bradford. What are the most popular Bradford hotels? Are there hotels in other cities near Bradford? What other types of accommodations are available in Bradford? Explore Bradford with Expedia.ca’s Travel Guides to find the best flights, cars, holiday packages and more!